I visited one of my favorites stores to grab me some of my favorite products. 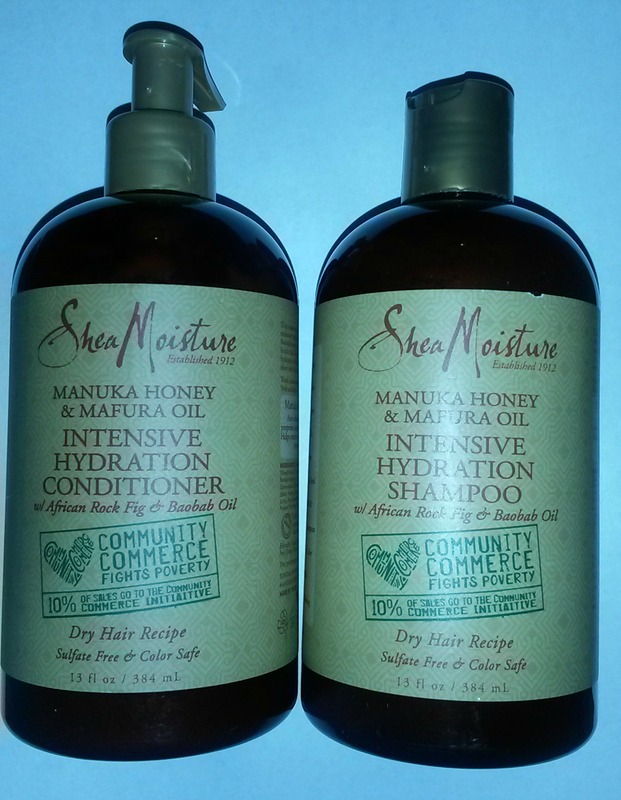 Shea Moisture. 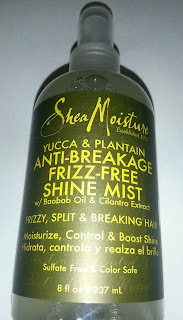 I have used the Jamaican Black Castor Oil line before and I loved it. So I wanted to try something from a different collection. I was also already in the market for me some mousse and since It was buy 1 get one at 50% off. 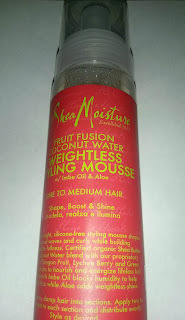 I decided to purchase Shea Moisture Mousse and the stuff smells really good! I do not have fine hair,my hair is thick,it use to be coarse but through the years my texture have changed for sure. 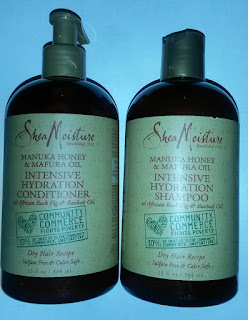 The Intensive Hydration shampoo smells just like the shampoo I used from the Castor Oil line a few months ago. The consistency is very good and it cleaned my hair with lots of suds. It don't feel stripped and overall I am happy I gave this line a try. I love that I can smell some essential oils mixtures in the conditioner. I applied it to my hair and let it just sit. It smells awesome as well. 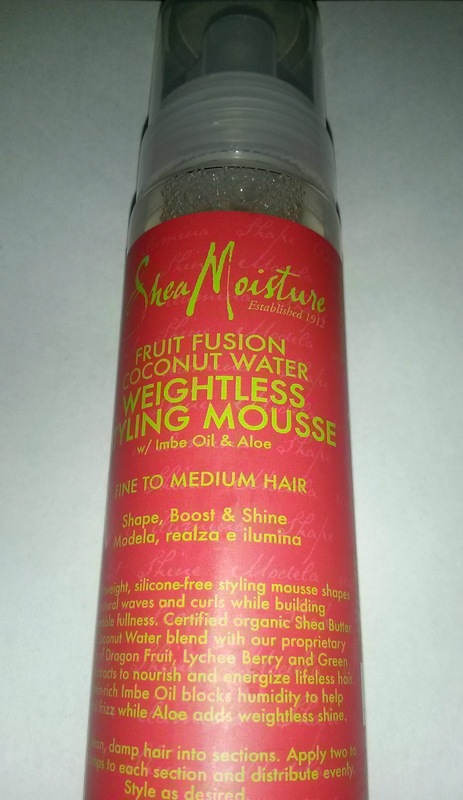 I will be wrapping my hair with the mousse and in the near future I will be trying some more collections from Shea moisture. It definitely feels like my hair loves this stuff already. I know I do. Review of the Maybelline Super stay Better Skin Challenge! Hi Ya! Look here! I was selected to take the 3 week Better Skin Challenge. I was excited and delighted to only notice the color chosen was very light and was not my color. Although the color "Warm Honey" was way to light for me,I went out to tried to buy my correct color to join the Rave party to only be let down again. My color that I needed was gone (sold out) :( aw man. So to write a review I still played around with what I had not only to mention I said to myself,MAN this stuff must be good because it's gone. I was not able to use it over my entire face but I was able to use it under my eyes. I love the texture of the makeup,it's not very hard,it has a light but solid fill while I applied it and it does not have a loud smell. I have some darkness under my eyes so I will continue to use a dap here and there so it can correct that area for me! So after all it works for something. Now I am hoping I can pick up the correct color to try my entire face! I can't wait to try it! So I can't give a full review on the actual benefits of the foundation just yet but I will definitely follow up. 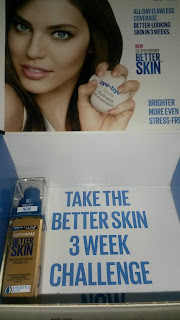 Thanks so much Influenster as I received this product complimentary of you for testing purposes only! Growing My Relaxed Strands. Stylist,that loves hair and fashion and ALL Beauty/Haircare products! !